After going on a two week holiday a couple of months ago, I actually stopped using dry shampoo and washed my hair every single day due to constant sweating and the country's humidity. It was actually nice to have clean hair every day but when I came back to England and tried to go back to my old ways, my hair just wasn't the same. My hair became very dry at the ends and my roots got really greasy quickly. It got to the point where using dry shampoo for 2-3 consecutive days didn't work when it never used to be a problem. The saying 'you shouldn't wash your hair every day' became apparently true because doing it really did strip off all the natural oils from my hair causing it to be more dry and greasy at the same time. Now that Summer is technically on our doorstep, I'm currently 'training' my hair to go back to what is was with my favourite product from Batiste. 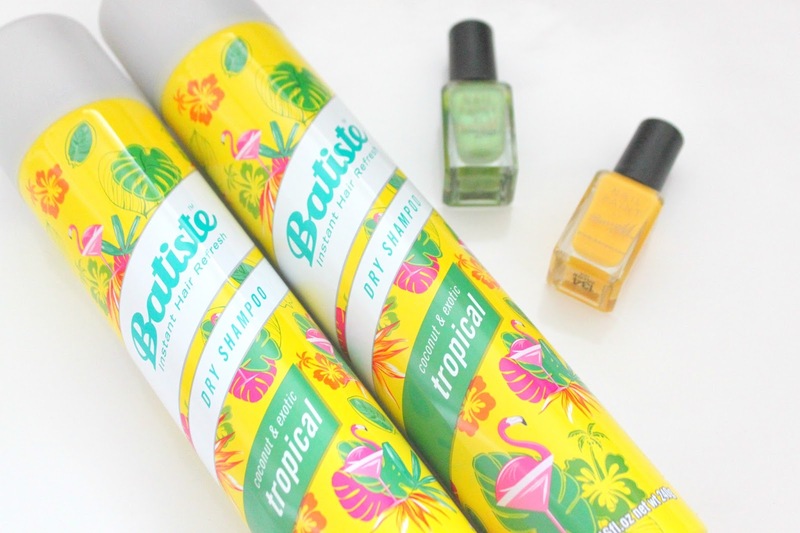 The Coconut & Exotic Tropical Dry Shampoo is the only dry shampoo that I swear by because unlike the other scents from their range, it's the only scent from Batiste that genuinely smells fresh day after day of use. I can't wait until my hair can go back to it's previous state! What are your top tips for getting healthier hair?